At The Nose Clinic, Harley Street London and Guildford based, every patient we treat has access to our state-of-the-art photographic studio, incorporating the highest quality lighting and imaging. Photographs of your nose will be taken before and after surgery. These images are an essential part of your nasal assessment and medical record. Digital images are also vital for highly detailed nasal and facial analysis, measurement and surgical planning. To give you a better idea of the results we can achieve, the images below are of real nose jobs we have performed, but placed on computer-generated faces to preserve our patients’ identity*. 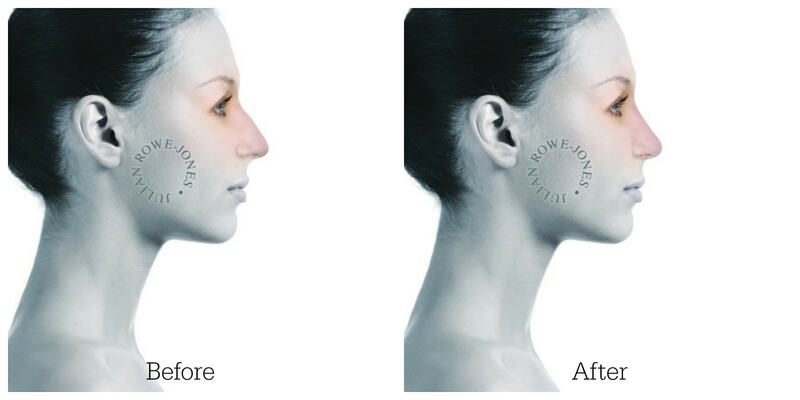 Where it is helpful, we will show you examples of our rhinoplasty work using actual patient photographs when you visit us, using specific examples that are relevant to you. We are very grateful to all our previous patients who have kindly given us permission to show our new patients their photographs. Primary Rhinoplasty: Young woman requesting hump reduction. Frontal width maintained with spreader grafts. Primary rhinoplasty in young female requesting correction of hump and smaller, less bulbous tip. Primary rhinoplasty: Teenage female requesting smaller nose without a bump. Primary rhinoplasty in a young female to correct nasal bridge hump with droopy tip. Primary rhinoplasty in a young Middle Eastern female requesting a smaller nose without a bump and less tip projection. Primary rhinoplasty in an Asian female to create a smaller nose at the tip and bridge. Primary Rhinoplasty. Young woman requesting hump reduction. Frontal width maintained with spreader grafts. Primary rhinoplasty: Teenage female requesting smaller nose without a bumpp. Primary rhinoplasty in an early middle-aged woman requesting a smaller, less bulbous tip. 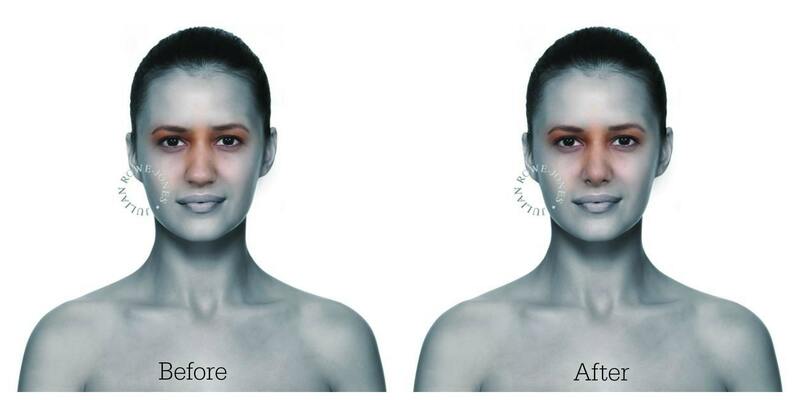 Secondary rhinoplasty: Correction of polly-beak deformity. * All photographs remain confidential. It is our policy not to publish patient photographs on our website. This is in line with the current BAAPS/British Association of Aesthetic Plastic Surgeons proposed guidelines. Due to these regulations, the before and after photographs you see on our website are real noses on computer generated images. We do this to respect privacy and patient confidentiality. 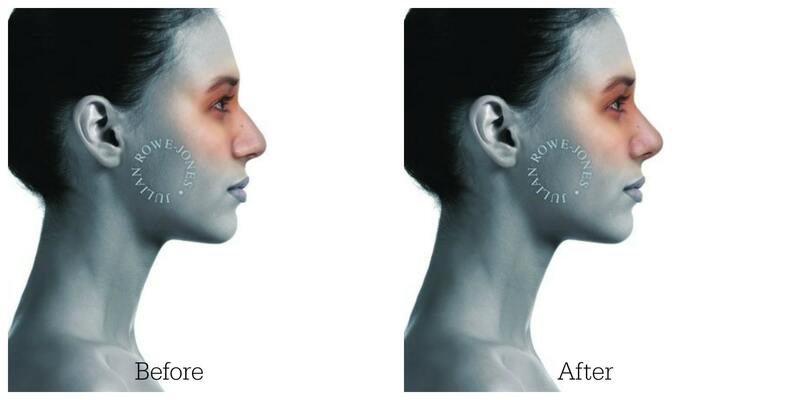 Furthermore, a real rhinoplasty result on a digital face highlights the surgical outcome as the nose is seen in isolation.